A few days back I wrote about attending the launch of Tigoji App by Telecom Company Aircel. 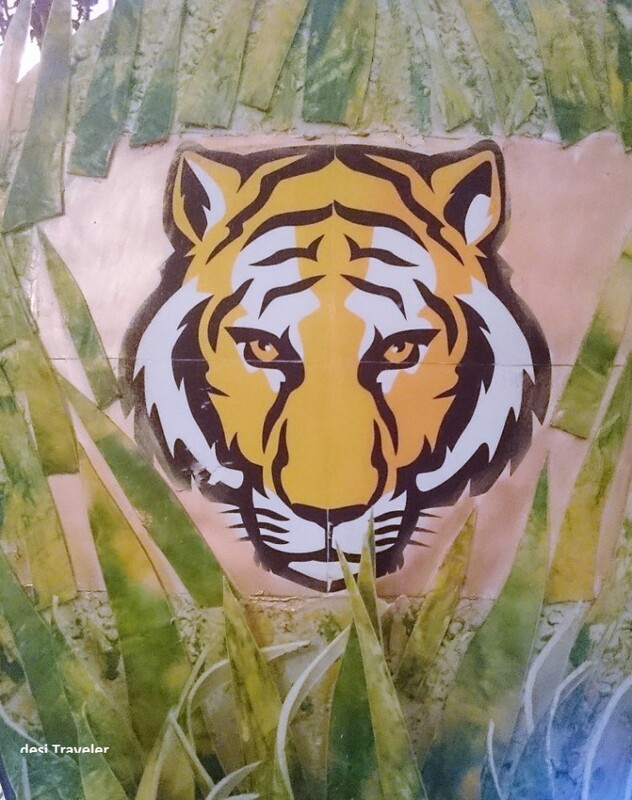 The app lets you fun tiger themed sticker and share them on social network. 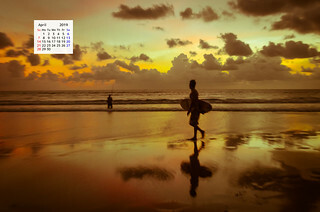 If you have not read my post you may say ? So what ? Well the special thing is that for every download Aircel is pledging Rs 1 for tiger conservation and protection. But that was just one of the events for Tiger Conservation; this 29th on the actual World Tiger Day received an invitation to attend the function on World Tiger Day at Imperial Hotel, organized by NDTV and Aircel. It was a day when they were celebrating World Tiger Day and also a panel discussion about how to move forward as now with Tiger population increasing we need to be more careful in protecting the next generation as they explore new territories. To celebrate this good news about tiger population NDTV-AIRCEL ‘SAVE OUR TIGERS’ campaign in its 4thyear organized a special event on World Tiger Day today. 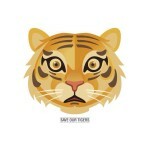 Launched in March 2010, the campaign is aimed at spreading awareness about the state of the big cats in the country. Running successfully for over three years now, the campaign has received great support and response from people across the country. Minister of Environment, Forest and Climate Change Prakash Javadekar supported the cause along with Bollywood actress Dia Mirza and singer Kailash Kher. 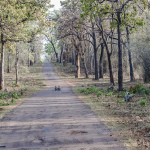 The event acknowledged the success of the campaign as well as felicitated people who have done exemplary work on the ground for India’s wildlife. There was a panel discussion in which eminent conservationists and tiger lovers like founder and Editor of Sanctuary Asia magazine Bittu Sahgal and many other known friends of tigers were present. As part of the panel discussion hosted by Vikram Chandra and Swati Thiyagarajan, Environment Editor, NDTV was organized with eminent Wildlife and Tiger experts at The Imperial Hotel, New Delhi. The panelists included Bittu Sahgal, Founding Editor, Sanctuary Asia; Anish Andheria, President, Wildlife Conservation Trust; Vivek Menon, CEO, Wildlife Trust of India; Bishan Singh Bonal, Member Secretary, National Tiger Conservation Authority; Dr Y.V. Jhala, Wildlife Institute of India and Qamar Qureshi, Wildlife Institute of India. Photos by renowned wildlife photographers were on display to showcase various facets of the big cat. In the audience I spotted noted Wildlife photographer Sudhir Shivaram. I am not very frequent or comfortable in such high profile event, so I settled in a corner with a glass of Mango Juice in my hand and my cell phone to click some pictures. 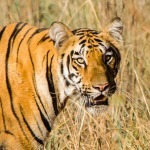 How You and I the common people can help in Tiger conservation ? Now the purists may question what is the importance of conducting such events when the money can be well spent in field? Well to answer that here is my argument, an event like World Tiger Day is not in isolation of money, time and effort spent in field, but it is a culmination and a platform to create awareness and recruit more tiger lovers in the fold. 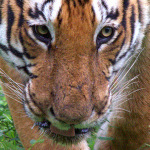 We need to understand more tigers are killed due to man animal conflict than any other cause. The same is true for other animals like Elephants also. As media, tiger conservationists, bureaucrats, policymakers, politicians, the page 3 people and field staff from wild life sanctuaries and tiger reserves all come on a single platform valuable ideas are exchanged and they discuss each other’s point of view. Events like World Tiger Day help create awareness and build a consensus towards, sustainable, scalable, socially and economically acceptable solutions to communities around tiger reserves programs that lead to a win win situation for both tigers and people. 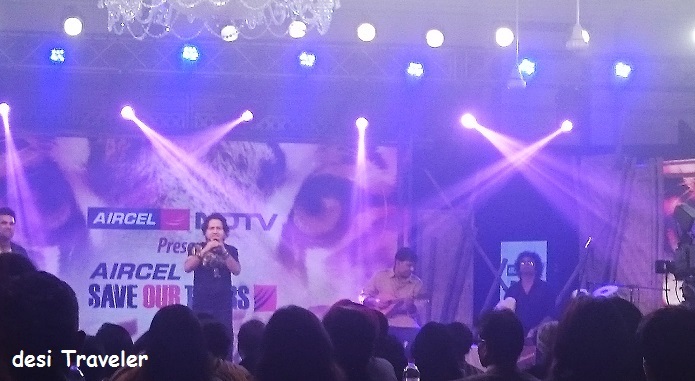 With presence of Celebrities like Dia Mirza and singer Kailash Kher supporting the World Tiger Day you involve the masses to the cause. Indeed the impact can be seen from the fact that when Kailash Kher replied one of my tweets, that made my day. 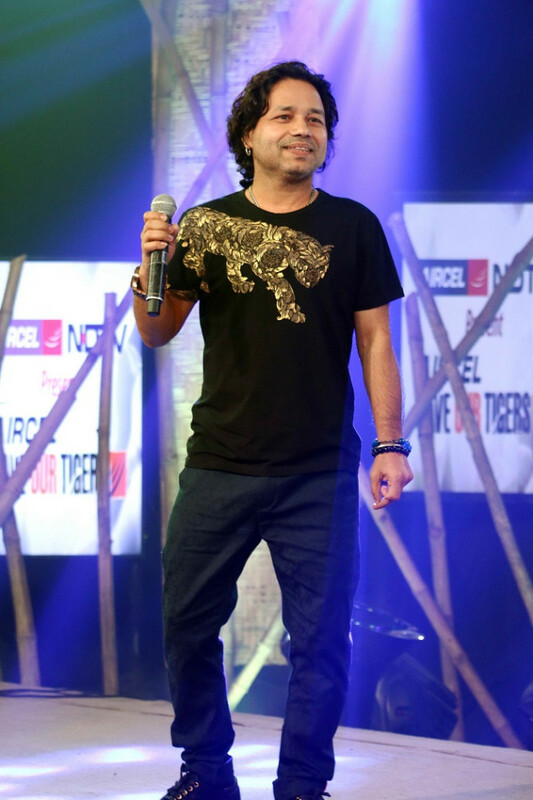 The fact that Kailash Kher supports the Save Our Tiger Campaign and came to sing on the occasion is praise worthy as it draws his millions of fans also to the cause.. Similarly when Big B appears in the TV commercial for save our Tigers, millions of people watch him and understand the importance of saving our tigers. 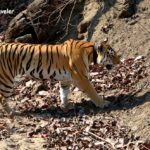 As big corporate like Aircel and NDTV come forward to support Save our Tiger campaign one feels confident that the message will reach millions of people who will join hands in the efforts. While corporate leaders like NDTV’s group CEO Vikram Chandra, Anupam Vasudev, Chief Marketing Officer of Aircel, and Brinda Malhotra, Head of CSR of Aircel spoke about the cause and campaign. The best part I liked was recognition and rewarding of ground level staff from our Tiger reserves that made me feel very happy. As normally most of the awards are reserved for high-flying activist, but here I was choking seeing a Mahout from Bandhavgarh receiving recognition along with forest officers. It is recognition of these foot soldiers of our Tiger Reserve that will motivate the forest guards, patrolling, Tiger Reserves on foot round the clock. 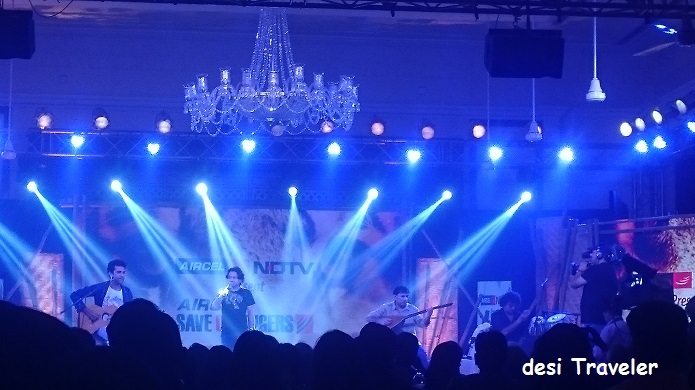 But the event was not just discussions and talks we also had Kailash Kher singing in his magical voice to entertain the audience. One of the rare functions I stayed till end and clicked some pictures of Tiger Themed desserts, before I did some justice to them. You can follow more posts / tweets / articles by various people about the same by following hashtag: #AircelSaveOurTigers on twitter, Facebook etc.